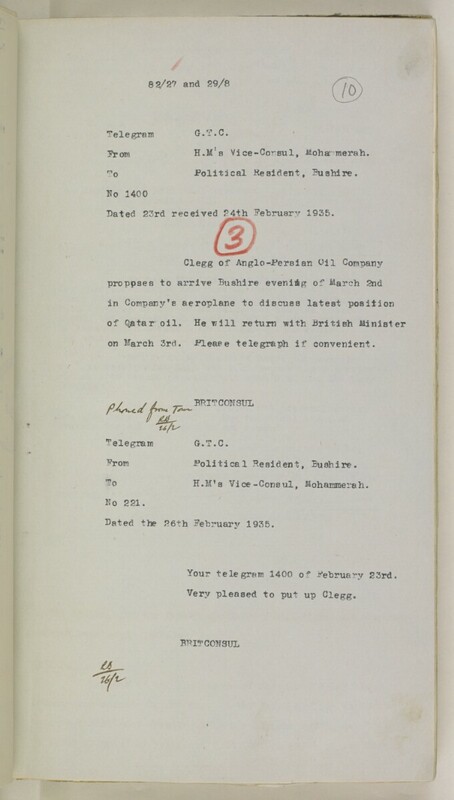 Dated 23rd received 24th February 1935.
on March 3rd. .Please telegraph if convenient. H,M f s Vice-Consul, Mohammerah. Dated the 26th February 1935. Your telegram 1400 of February 23rd.